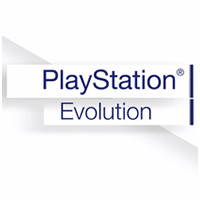 Sony has released the final Evolution of PlayStation video, this time taking a look at Games that has made the brand famous. The video talks about Gran Turismo becoming one of the most famous driving simulators, but also name-drops LittleBigPlanet, Flower, Journey and other PlayStation exclusives. In just over 12 hours, Sony will he holding it’s PlayStation Meeting in New York, and hopefully revealing the PS4 and many games to go along with it. We can barely keep our excitement contained!